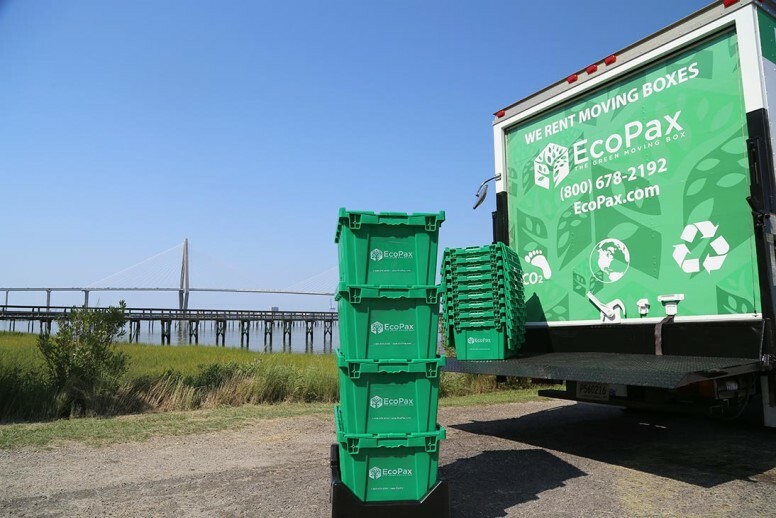 Our EcoPax makes packing up for your move faster, cheaper and easier than ever! 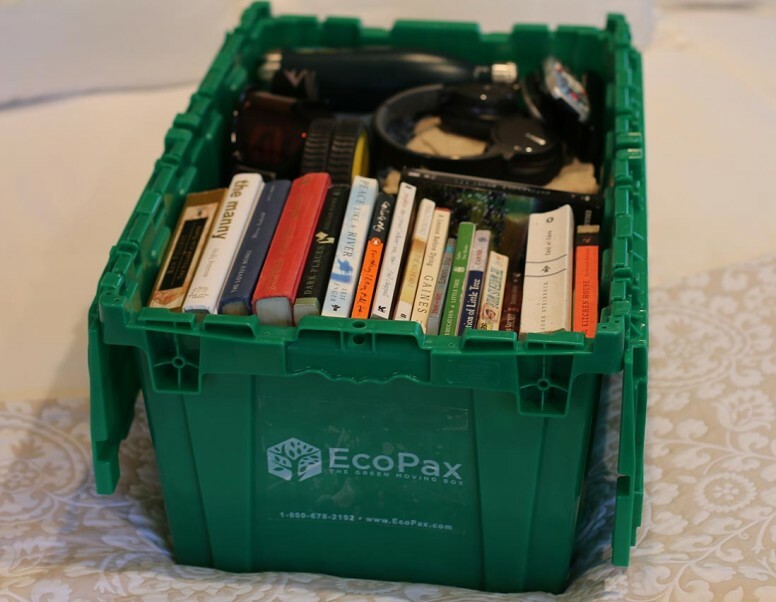 A sensible and affordable alternative to using new or used cardboard boxes when it’s time to pack your stuff! 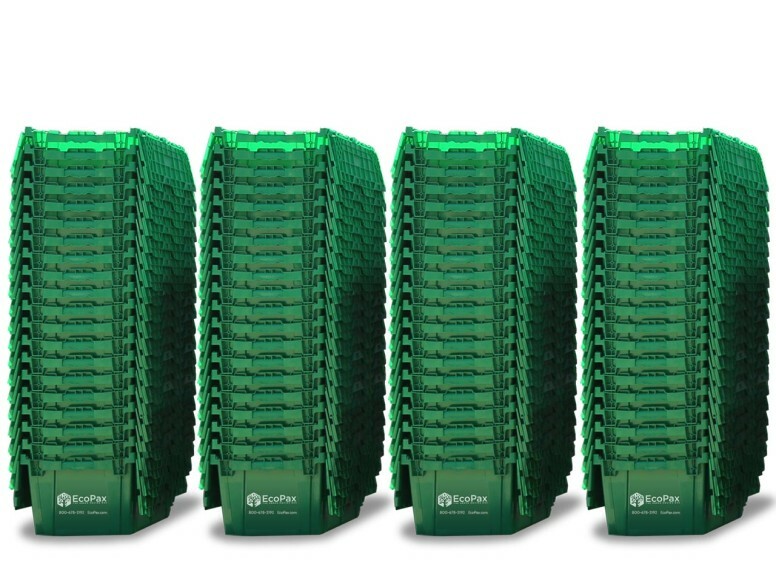 Choose how many of our recycled plastic boxes to order from our various pricing packages. Packages are based on the number of bedrooms/sq. footage of your move. 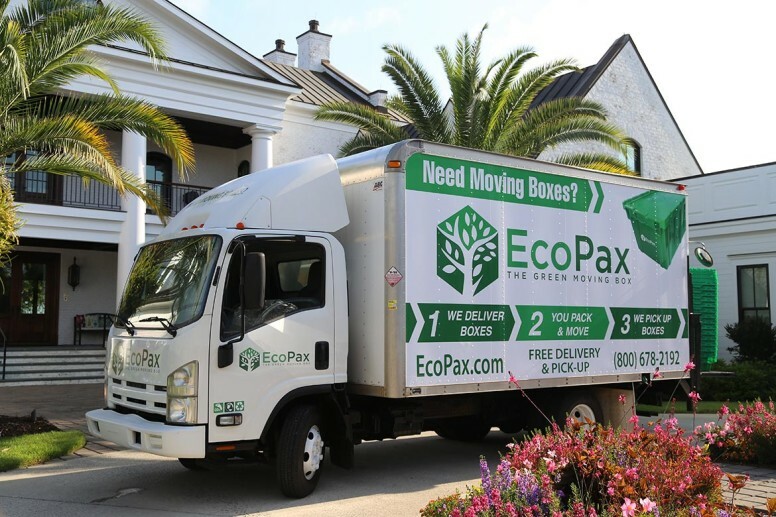 On the day of your scheduled delivery the EcoPax agent will call ahead and contact you en route to give an exact time of arrival. All deliveries will be made within the 2 hour requested time frame. 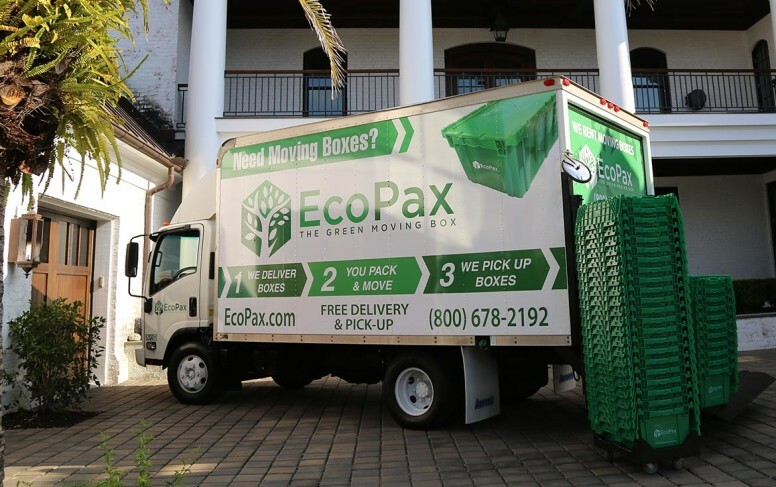 We can deliver EcoPax to your garage, front door, back door or office. Just let us know. After delivering the boxes, your agent will give you a quick product demonstration on the best and fastest ways to load and stack them up neatly. Pack each box to the rim with your stuff, close the lid, label it and zip tie it shut, and move it to the side. Repeat this step and make stacks of 4 or 5 of the boxes until you are done packing. Once you’re all moved, we recommend unpacking your bedroom first so you can enjoy a comfortable first night’s sleep in your new home. Show your mover the labels for easy loading and offloading. Also be sure to rent a dolly or two. This takes the strain off the back as you can roll 5 EcoPax at a time, which is much easier than carrying one at a time. Once you have everything unpacked, email or call us at 800-678-2192 if you would like us to pick up the boxes earlier than scheduled return date. Since we rent on a weekly basis, it’s important to have them completely unpacked and re-stacked, ready for removal when we arrive. We count the boxes when we deliver and again when we pick up. It is not uncommon for a friend to borrow one because they are so cool and green but they are not cheap to make. We charge for missing, borrowed or lost boxes.